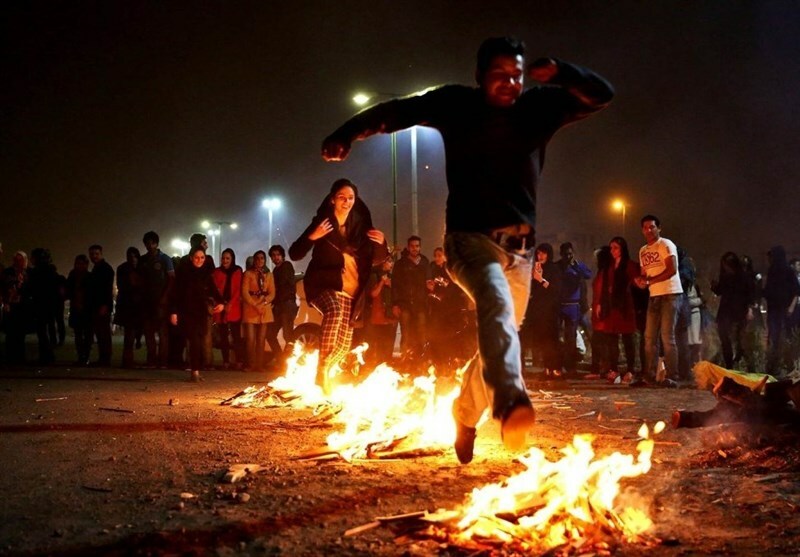 Iranian festival of fire and light is held the last Wednesday night before the Persian New Year. The event is called Chaharshanbeh Suri. 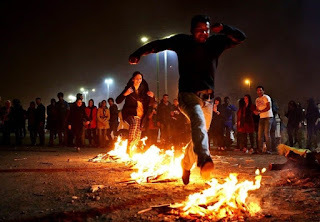 Chahar-Shanbeh means Wednesday and Suri means both ‘Red’ and ‘Celebration’. People went around the surrounding hills and plains, collected thorn bushes, took them to their neighborhood and right at sunset they set a fire over which all the neighbors jumped within some minutes. They hope for enlightenment and happiness throughout the coming year.